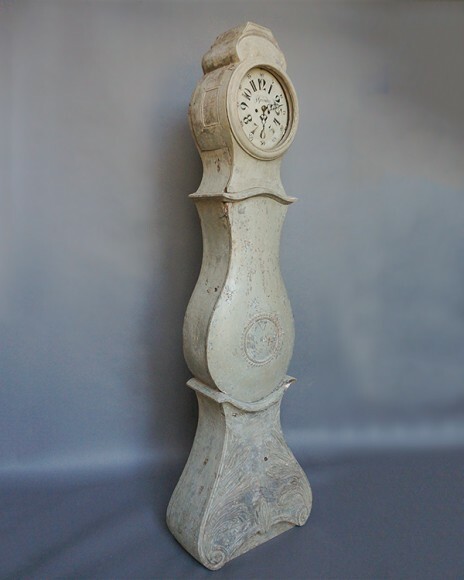 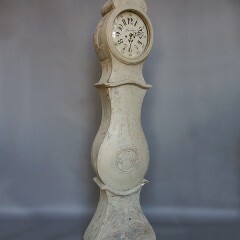 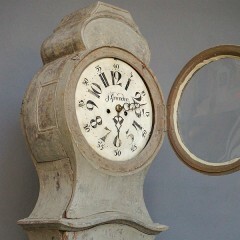 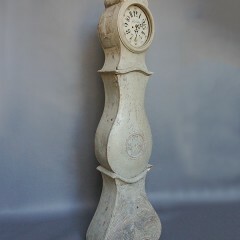 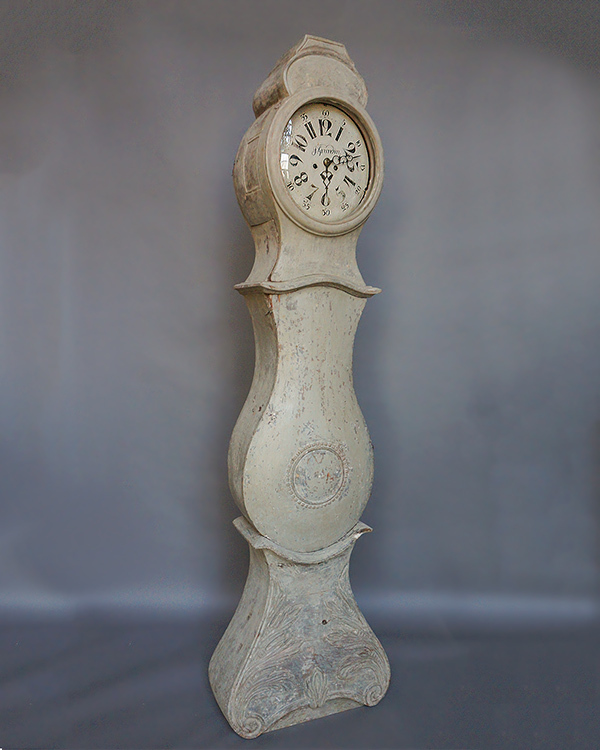 Early Mora clock, circa 1800, signed “J. Grundin” on the dial, along with bold arabic numerals marking the hours and smaller ones marking the minutes. The typical Mora works are in a beautifully carved case from Västergötland in the west of Sweden. 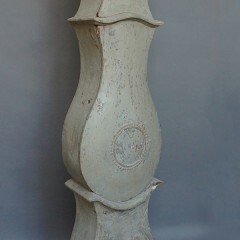 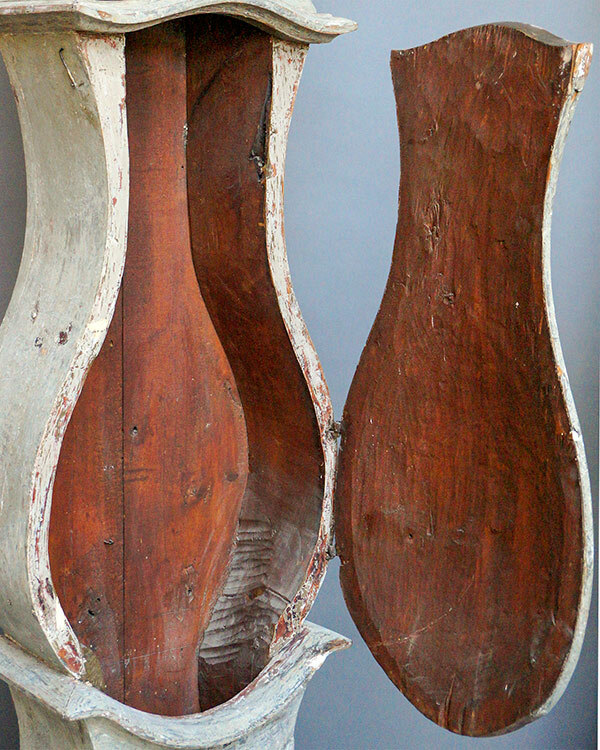 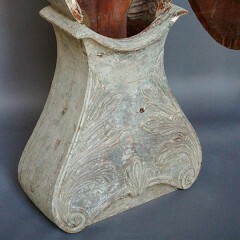 The case door is convex, without the usual glass window, and the interior shows the marks of the tools used to hollow the “belly.” The base features foliate carving on either side and a flower in bud in the center. 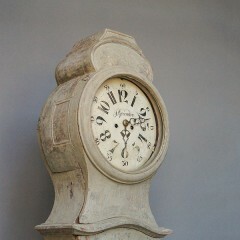 All original with very early painted surface. 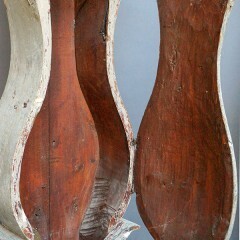 The works have been newly cleaned and regulated.